In today's episode we are playing more "Crime and the 10 Commandments." Lloyd and Pastor Bennett look at a couple of interesting crime stories and discuss Castle Doctrine, forgiveness, and the Ten Commandments. It's our variety show week and Sgt. Bill has a tip for focusing your practice, Mia shares another great product from SHOT Show, and Pastor Bennett responds to a listener email. In this week's Clinging to God & Guns episode we're talking about praying the 10 Commandments and how considering the Commandments when you're making big decisions can help you avoid major mistakes. It's our variety show week and we have another great hunting tip from Mia, tips on offseason prep from Sgt. Bill, Lloyd's thoughts on the latest ad from Gilette, and Pastor Bennett is answering a listener email. In this final show of the year we look back at some of the best moments from 2018 with segments from Sgt. Bill, Mia, Aaron Israel, and Pastor John Bennett. In this weeks show we look back at some of the best moments from 2017 from Sgt. Bill, Mia, Aaron Israel, and Pastor John Bennett. Episode 117 - Never Call Police? What Could Go Wrong? Lloyd responds to a listener's review, using the Parable of the Good Shepherd. Episode 116 - Since When Did Jesus Get Connected To Guns? Lloyd compares the sham that is the "March for Our Lives" to the Children's Crusades of the 13th Century. ALR Episode 111 - Not Enough God? Not Enough Guns? Mid-Week Meditation #18 - Why Don't We Protect our Schools? Lloyd shares his thoughts on the school shooting in Parkland, Florida, and why protecting our kids isn't a priority in Congress. Episode 107 - We're Just a Bunch of Antinomians! Episode 104 - Pacifism or Obedience? Episode 103 - Allowing Guns in Church Flies in the Face of Scripture? As we sit down to give thanks this week, consider not just WHAT you are thankful for, but TO WHOM are you giving thanks. In this week's meditation, Lloyd reflects on the similarities between the movement to prohibit alcohol in the 1920s and the modern anti-gun movement. Episode 80 – When Jesus Disarmed Peter Did He Disarm Us All? Going back to the pre-podcast days to share a blog post from 2015 honoring the memories of those who died in service to our great nation. Episode 69 - What Would Jesus Say to the NRA? Episode 67 - Was Jesus the Ultimate Liberal? Episode 65 - Saint Augustine Said What? Episode 58 - Transgressors Carry Swords! Episode 56 - What's Wrong with God and Guns? Mid-Week Meditation #12 - Imagination! Episode 47 - Is Gun Ownsership Christian? Mid-Week Meditation #10 - What Are You Thankful For? In this week's Meditation, as voters finally go to the polls, Lloyd offers a final thought on the election and the struggle ahead. In this week's meditation, Lloyd reviews the findings of a recent survey of convicted burglars to learn how these criminals think and the steps you can take to make it less inviting to them. On this week's Episode we interview Bob Mayne, host of the Handgun World Podcast, plus tips from Mia Anstine, Aaron Israel and Sgt. Bill, and we discuss how to safely sell a firearm online. Episode 39 - Does Jesus Hate Guns? In this week's meditation I share my thoughts on football, race, and the National Anthem controversy plaguing the NFL. Mid-Week Meditation #6 - What Does it Matter? In this week's meditation, Lloyd considers a question he heard several times over the past couple of weeks: what does it matter, as long as you are a Christian? Episode 36 - Do Christians Have a Right to Self-Defense? Episode 35 - Is Carrying a Gun a Christian Right? In this week's Mid-Week Meditation, Lloyd asks the question "where's the common sense in background checks?" Episode 13 - Why All Christians can Back Better Gun Control...NOT! He is Risen! He is Risen, Indeed! Hallelujah! Episode 8 - Should a Christian Own a Gun? Episode 6 - You Can't Be Pro-Life and Pro-Gun? In this special episode Lloyd offers his thoughts and prayers in response to the sudden passing of Supreme Court Justice Antonin Scalia. Episode 5 - Should Christians Carry Guns? 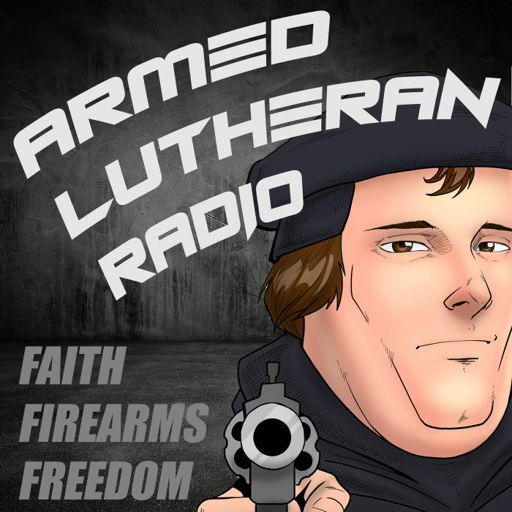 Armed Lutheran Radio 2016-2018. All rights reserved.